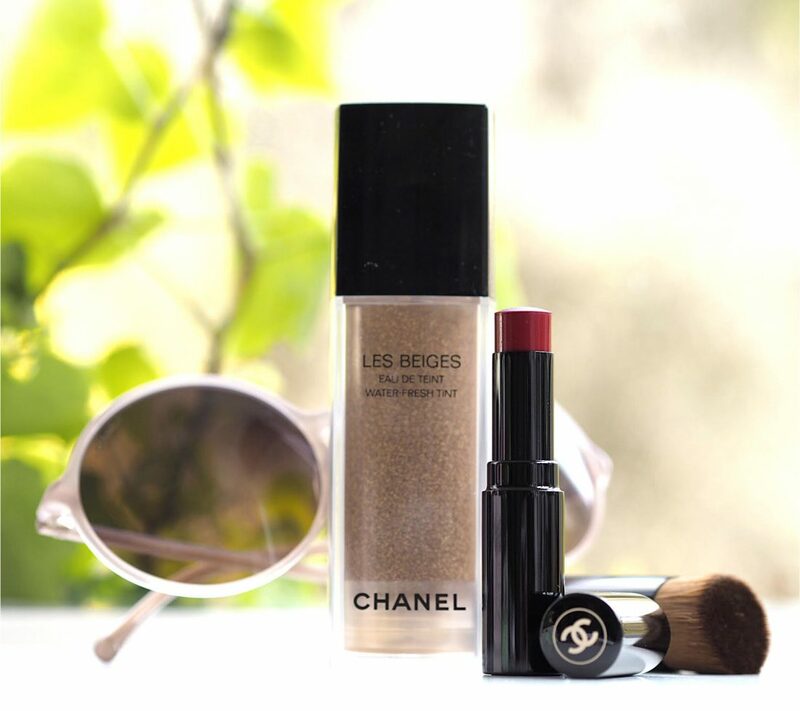 [courtesyofCHANEL/productsample] Because I think that Water-Fresh Tint is going to be the wave-making product when it launches on 19th April, I’m splitting CHANEL Les Beiges 2019 into two posts and focussing on Water-Fresh on its own in this one. 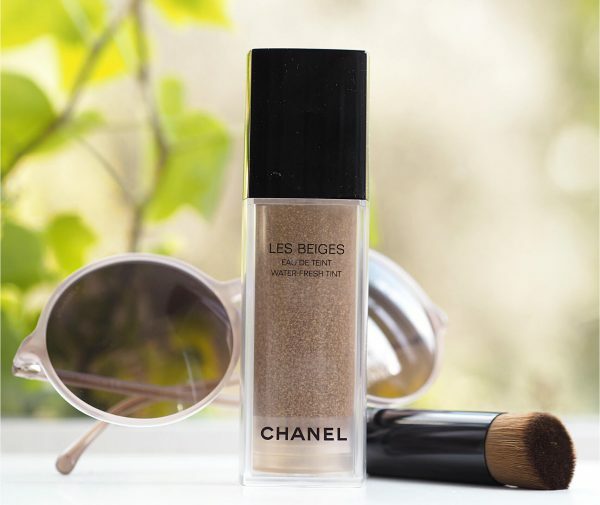 CHANEL calls this a ‘microfluidic’ product – the unification of a water-soluble phase and an oil-soluble phase in the same formula (with no emulsifier). 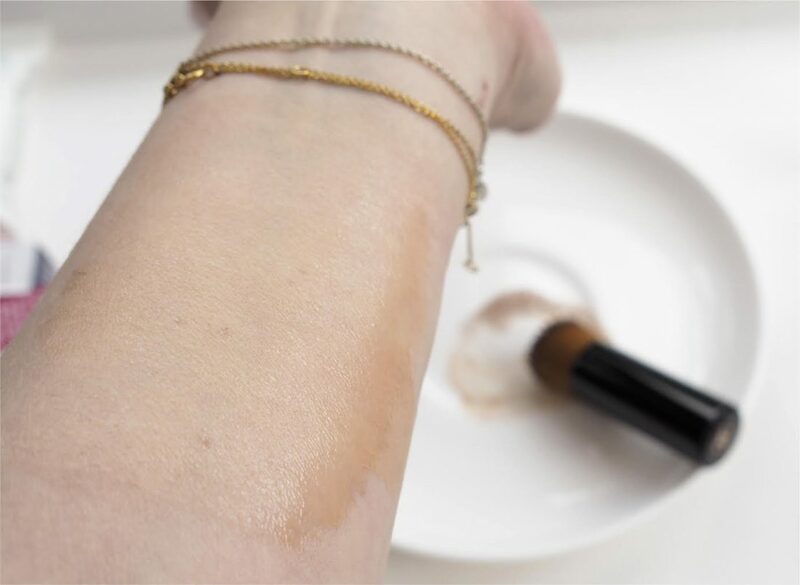 The purpose of Water-Fresh is to create a skin tint that is more than bare skin but less than any coverage you’ve probably used before. 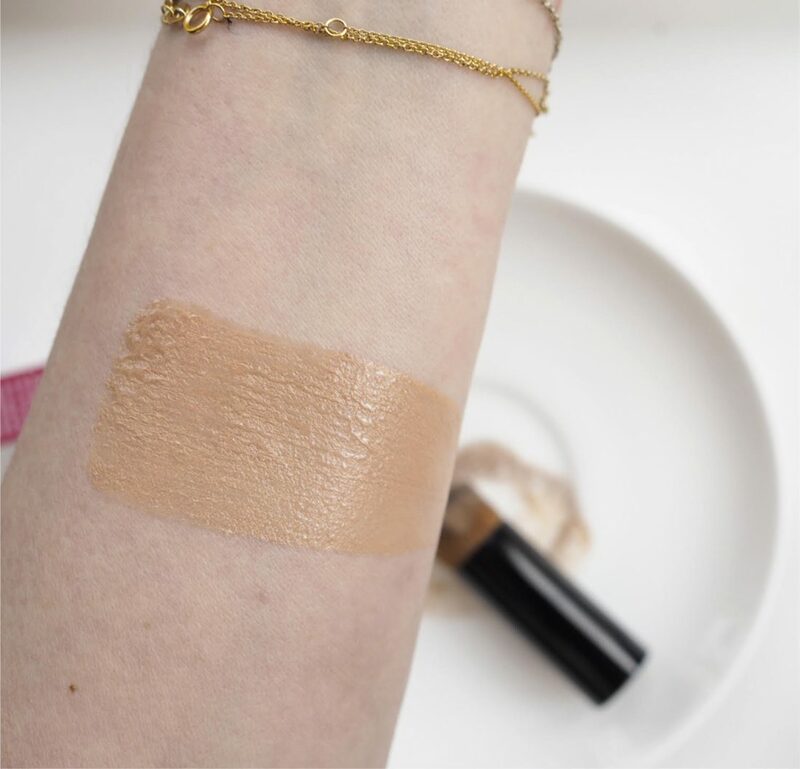 It provides a mild colour and some tone unifying – the secret to using it successfully is to put moisturiser underneath – in that way, you get an under-glow from the moisture that compliments the tint. This is how it looks when it’s pumped out from the bottle. You can clearly see the two elements. This picture shows how it initially appears on the skin before you start blending with the included brush. I’ve tried it three ways: over oiled skin, on bare skin and over SPF (REN) and there was no reaction in terms of products not suiting each other even though there is silicone in the Tint. Here it is blended out more. 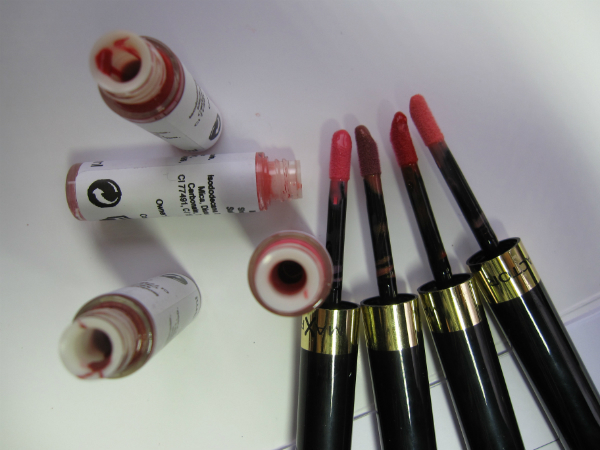 That initial sheen fades off but once it has, the tint doesn’t then look dry. It just looks ‘second-skin’. 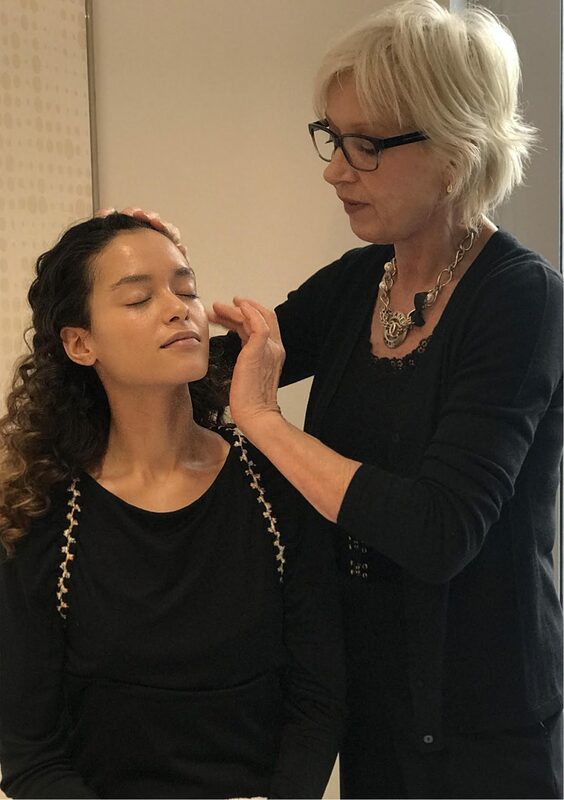 It’s true that the suggested method of using moisturiser underneath works the best in terms of giving a dewy finish (see Mary Greenwell’s finished look on a model below) but if you’re oily or your skin can’t easily take multiple layers, you can use it without with no adverse effects but you will find the feel of it mildly astringent. I wore my sample yesterday and this morning to the park where I commandeered my friend, Emma, to give her view on my skin and the finish (without telling her what it was). She felt that my complexion looked warmer, looked better than no make up (she’s seen me in every state!) and that it gave my skin a polished look without being an obvious base. 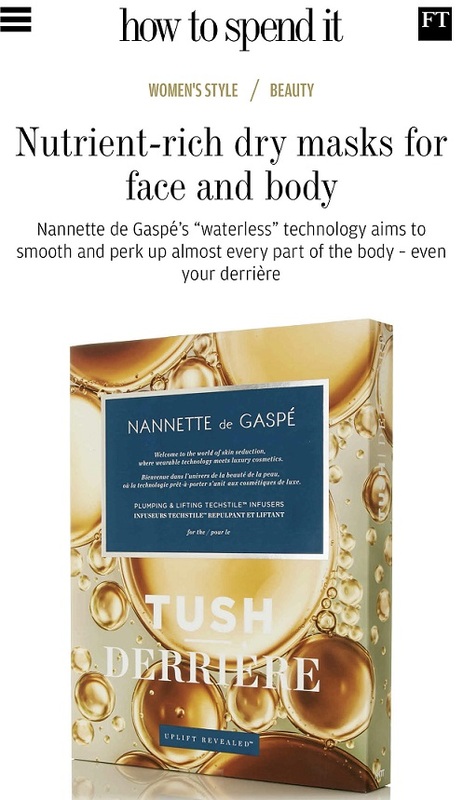 However, I think Water-Fresh going to be the season’s Marmite and I’m not sure that it’s particularly helpful for older skin – if you have perfect skin (like the model), yes you are going to look blessed by nature with a dewy and perfected complexion, but if that’s not the case, it may be just too ‘bare’ for you. I’m still not completely decided where I’m at with it – I can see myself wearing this on holiday evenings when my tone has warmed naturally but other than that, I’m not sure where it fits into my make-up style. But, perhaps that’s all it ever needs to be – a skin veil for certain times only. Les Beiges Water-Fresh launches 19th April for £48. Intrigued by this… the model’s skin does indeed look perfect, but like you this would probably be more of an occasional base for me. 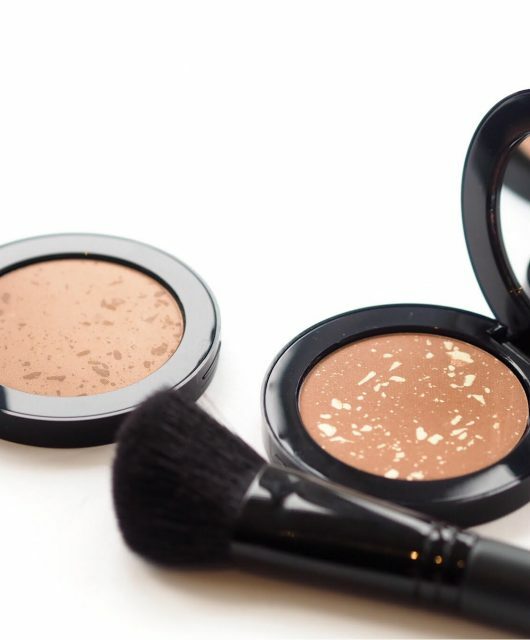 I like the idea of a lighter base paired with concealer for Summer. Oooh this whole Les Beiges April launch calls to me. This product in particular…..what a brilliant informative review. 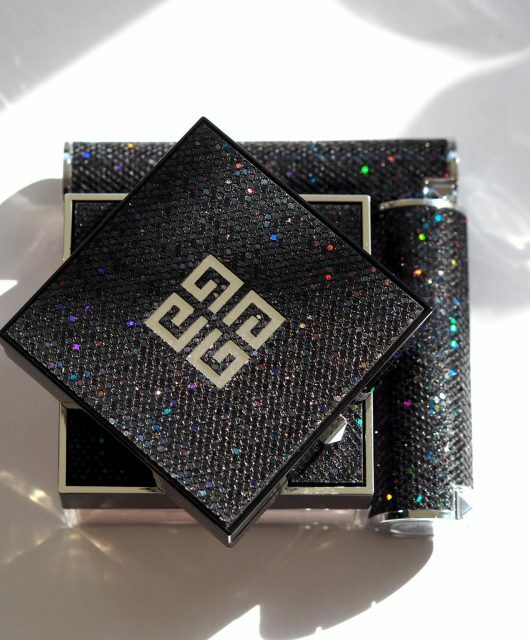 At 62 I’m finding I’ve a new mania for almost invisible foundation. My skin is looking really good, to my delight, and the ‘sun damage ‘ extra freckles are pleasing me enormously! So I’m really keen to try this; sounds lovely. Thanks! Ridiculously excited, gawd help me! 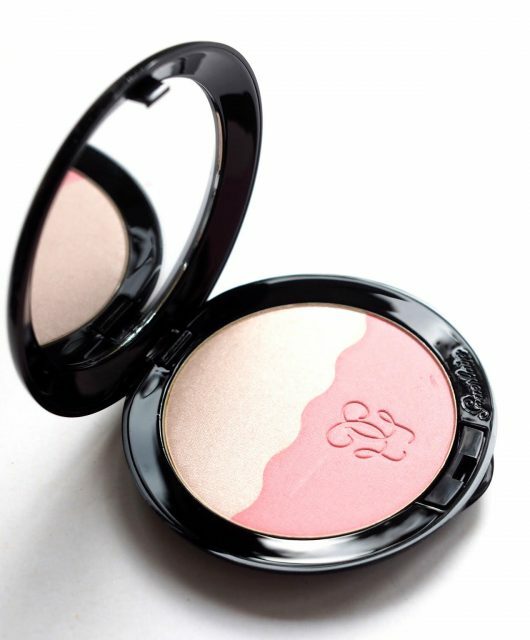 I’m currently a big fan of the Les Beiges cushion foundation, which as you probably know is very sheer and glowy. Do you have a view for how this new one might compare with that please? Also, you say the brush is included; do you know whether it’s synthetic or fur? The price of £48 for product and brush together suggests synthetic to me. Hope so, anyway! I ‘think’ they’re a mix of synthetic and natural although I imagine they’ll phase out any animal content as they gave a commitment not to use fur or exotic skins quite recently. 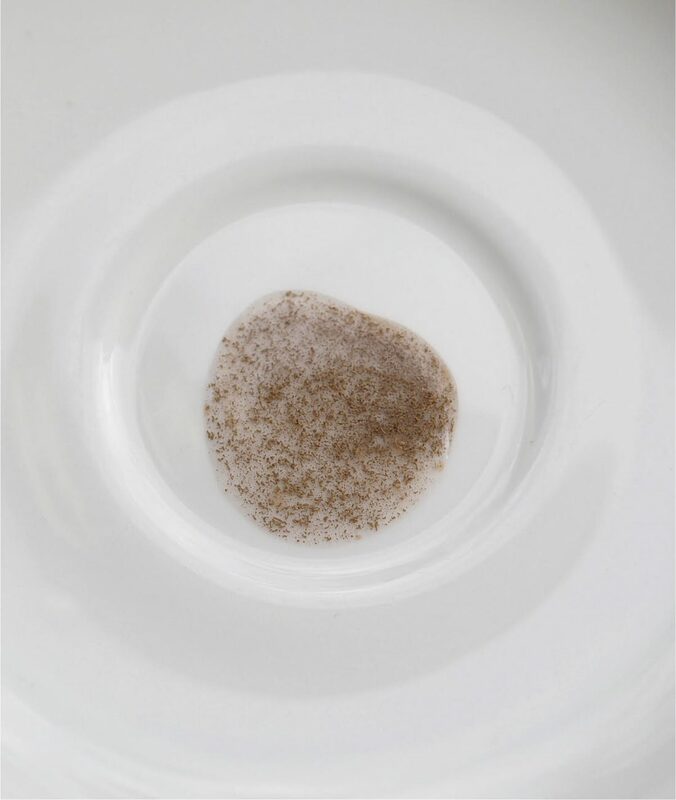 The new base is entirely different – I also love the cushion but they’re not really comparable as the water tint is a different texture (pigment filled, oil micro-drops) and a much less obvious finish. Thank you, it sounds really intriguing! Mine is Medium. I honestly don’t think I’ve tried the By Terry version – sorry!